For online businesses, content marketing has been one of the tried and true methods for growing your audience. You wrote great blog content, and they’d come. You created a valuable lead magnet, and they’d opt in. A free training used to organically grow your list, but this simply isn’t the case anymore. Consumers are also getting more knowledgeable and sophisticated, so it’s harder to “sell” them anything. Meanwhile, the value of capturing someone’s email address and making a true connection with your audience is growing higher and higher. Clearly, there’s a demand for speaking to your audience in a different way. 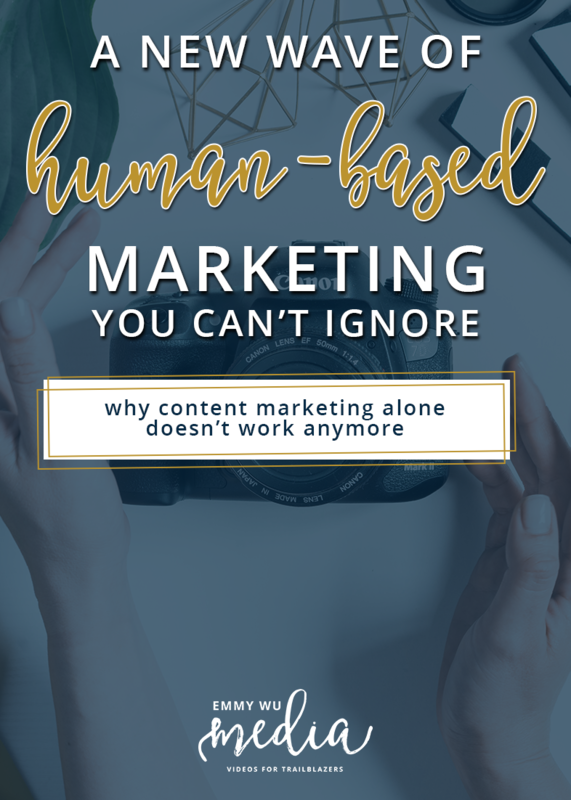 CONTENT MARKETING ALONE SIMPLY DOESN’T WORK ANYMORE. Too many options, too much information, too many people telling the same old story has created disinterest. There’s simply little to no value in information anymore. Google is the keeper of answers to virtually any question you can throw at it, and Youtube is the leader in instructional how-to content. Reasons for people to actually go to your website to learn, or to follow you for information alone, are decreasing by the second. But rather than sinking back in dismay from the decline of your social media shares, it’s your responsibility as the business owner to grab this opportunity by the huevos and embrace it. The decline of traditional marketing actually opens the floodgates for new opportunities to reach your audience in even deeper and richer ways. It’s not just about creating content anymore, but rather winning the hearts and minds of your audience with a medium that replicates real life interactions. As business owners, we have to remember that on the other end of your content is not an avatar, number or statistic … but rather another person: someone with experiences, feelings, hopes and dreams, just like you. A WINDOW OF OPPORTUNITY FOR MASSIVE BUSINESS GROWTH. Humans crave connection. Your audience doesn’t want just another piece of “how-to” content, instead, they want to feel the resonance of your message. They want to connect with your journey because it also speaks to their greater purpose. They want camaraderie through understanding your pain and challenges. They want to bump fists and celebrate in the triumphs of your wins. And they want to feel the power of being in a community of like-minded people who are on the same mission. When you can show your audience more of you, then you can quickly grow of tribe of fans who not only support and rave about your message, but they’ll be the first to raise their hands in working with you, recommend your business to everyone they know, and follow you for years to come. This new wave of marketing is encouraging you to show more of who you really are, instead of hiding behind a wall of curated content. It’s a call to leave behind the idea that your audience wants a perfect version of you, in an exchange for the need of a raw, human version of you. It’s a call to bring more humanity into business using the emotions, expressions and interactions that makes your audience understand: we are all one in the same. So, what’s a business owner to do in an age where attention spans are getting shorter, patience is wearing thinner, and the cost of acquiring customers is skyrocketing? The written word loses its impact every time your audience decides to skim your text instead of actually reading it (which we know they do!). But videos transcend traditional forms of media because it’s the only medium that allows your message to come through in its purest form: emotion-based. Videos are the wondrous marriage of imagery and sound that supplements your message by taking your viewers through a journey of emotions. If your audience and customers are humans with feelings, then your preferred medium for reach should be videos. Humans don’t communicate only with words. Even before you say a word, your audience has already assessed whether or not they connect with you. From how you hold your shoulders, to the hand gestures to communicate your thoughts, to the cadence of your voice, your viewers have already created a 3D image of you inside their heads, even before you’ve said a single word. It’s how our human brains have been wired for millennia to shortcut the barrage of sensory information so we can survive. You’ve already heard the saying that “an image is worth a thousand words”, and the same stands for that first moment your viewer sees you. Within the first second, they’ve already unconsciously decided: is this person safe? Can I trust them? Are they someone I want in my tribe? If there is a connection, it’s instant. They’ll quickly learn your speech patterns, recognize your body movements, and gain insight into your personality. It’s true that your audience needs to know, like and trust you. With video, this happens faster than any other medium. As a business owner, this is a very, very good thing. But videos are so much more than just talking heads. When we look at the other components that make videos so powerful, we recognize why the ability to mold your audience’s experience and to manufacture emotion can be the single, most important thing you do to brand yourself and set your business apart. As we embark on a new frontier of marketing, we need to include how humans learn and remember information: through experiences. Children quickly learn about their world by how something feels to the touch, how it tastes, and the reaction they get from their parents. These patterns become ingrained in our brains as experiences that are associated with emotions. We learn to recognize story patterns where a call to adventure often leads to defeat or a great lesson, and we can’t help but feel the tugs at our heartstrings when a hero triumphs over adversity. When you can create this positive emotions through the experience of watching your videos, you’re winning over their minds and their hearts. Statistics and data can help to support decision-making and sales, but we all know that purchase decisions are driven by the heart. We’re still not entirely sure why music affects us emotionally, but it’s been proven that music can alter our perception. We might listen to an Italian opera and not understand a single word, yet we feel the rush of emotions of music speaking to our hearts. Play back an old song and we immediately remember the experience of it: first dance at a wedding, a loved one’s favorite song, that summer you’ll never forget. Familiar songs and melodies trigger pattern association and memories. From sweeping your viewers off in inspiration, to making them empathize with struggle and loss, when you choose the right music to accompany your message, you not only enhance their experience, but you’re, in fact, manufacturing their emotional journey. The human experience is 3D, with feelings and experiences that rank differently in how we react to it and videos are the same. 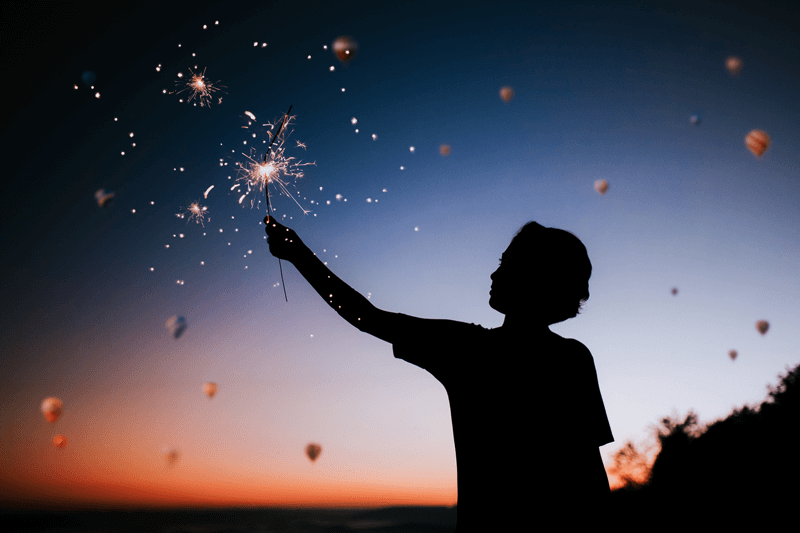 You can create a diverse and rich experience that’s not only based on emotions, but also reactions like the rush of falling down a roller coaster, the tension of impending gloom, or the sparkling joy of discovery and revelation. Video editing techniques like “speed ramps” mimic jumps in time and an altered reality that actually speeds up the heart rate and creates excitement and anticipation. Meanwhile, slow motion and time lapses mimic how the human brain recalls a memory and creates the feeling of reverie and timelessness. Even the subtle tones of how your video is color corrected can cause your viewers to either feel cold and isolated, or warm and connected. If you want to see this in action, pay attention next time to how HBO’s “Game of Thrones” very deliberately color corrects certain scenes with cold blue tones, and other scenes with warm and rich gold tones. Your viewers react to these clips on a physiological level. As a business owner, this is a golden window of opportunity to enrich your marketing that you can’t miss out on. This wave of experience and emotion-based marketing is beckoning you to embrace video as the only way to grow your audience because it’s the only medium that allows us to mimic the real-world, human connections that we all crave.